Microsoft Teams is changing the collaboration landscape and providing businesses with the opportunity to drive greater efficiency and transformation in the workplace through digital teamwork. The potential is great, but with success being heavily dependent on factors other than the technology - including people, change management, governance, process and more - how do you really know what the return on investment is and whether it is really adding the value you desired? This session looked at how we measure 'success' with Modality Systems Teamwork Analytics solution. Teamwork Analytics provides insights on the real activity, usage and behaviour of Microsoft Teams and its users, with the objective of driving a better understanding of the utilisation trends to facilitate continuous improvement initiatives and visibility of the value being recognised by the business. 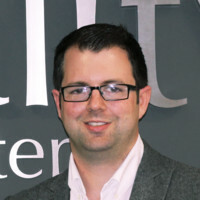 Tom Arbuthnot is Principal Solutions Architect at award-winning communication and collaboration specialists, Modality Systems. He is a Microsoft Certified Master (MCM) and Microsoft Valuable Professional (MVP), recognition of his knowledge of enterprise communications and collaborations, and the contribution he makes to the technology community as a subject matter expert. He is also a regular blogger, has a regular podcast with UCToday at tomtalks.show and is a regular speaker at industry events such as Microsoft Ignite. He co-runs The Microsoft UC User Group London. We will investigate the migration options and models, and outline some of the considerations to help you make the right decisions for your users and business. We will look at both the technical and user aspects of this change, with suggestions on best practices and key aspects to ensure success. How well do you know Microsoft Teams? Microsoft Teams might be the new kid on the block, but it is maturing fast in terms of its feature set and the number of businesses that are embracing it to improve teamworking and collaboration. But how much do you really know about Microsoft Teams? In this session, we answer all your Microsoft Teams questions, covering what it is, where does it fit in the organisation compared to other tools, what are the business benefits, what does the journey to deploying Teams look like, how to best adopt it - especially those migrating from Skype for Business, and a look at the non-technology factors such as people, culture and governance. Where ever you are on your journey, we can help.